Historical Marker #1913 commemorates one of the last incidents in the Hatfield-McCoy feud. 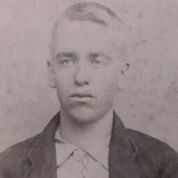 Ellison Mounts, a poor twenty-five-year-old who took part in the raid of the McCoy’s home in 1888, was found guilty of the murder of Alifair McCoy (event covered in marker #2062). Mounts plead guilty, believing at worst he would be sentenced to life in prison, according to some feud historians. Nonetheless, Perry Cline who had served as defense attorney to the other Hatfield defendants, did not defend Mounts in the trial and persuaded Mounts to give his jailhouse confession in front of the press. The jury quickly found Mounts guilty and sentenced him to death by hanging. Mounts immediately attempted to change his plea to not guilty and requested a new trial; the request was denied. 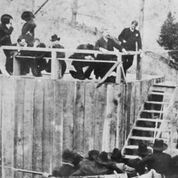 Mounts was hanged on February 18, 1890 in Pikeville. He declared, “The Hatfields made me do it.” Some historians believe Mounts was a scapegoat for the whole Hatfield clan. The Pike County sheriff carried out the sentence, publicly ending the feud via the county and state’s legal mechanisms. Ellison Mounts’s public hanging vested authority in Pike County and Kentucky state law, replacing interpersonal violence with state-authorized judicial procedures. The hanging, the first in Pike County in four decades, drew thousands of spectators, many of whom anticipated a rescue attempt by Hatfields. Mounts also hoped to see the Hatfields ride into town to challenge the law, but his hopes were dashed. Historical Marker #1913 was dedicated in 1992. Hanging site of Ellison Mounts, Feb. 18, 1890. Seven other Hatfield supporters indicted for murder of Alifair McCoy were sentenced to life in prison. By the time of his trial, Mounts had confessed. He was also found guilty, but the jury recommended the death penalty. Pike County sheriff carried out sentence. 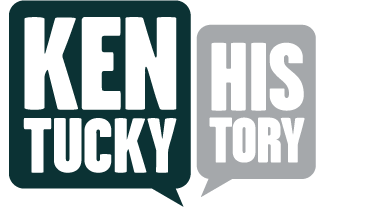 This was one of the last episodes in Hatfield-McCoy feud. 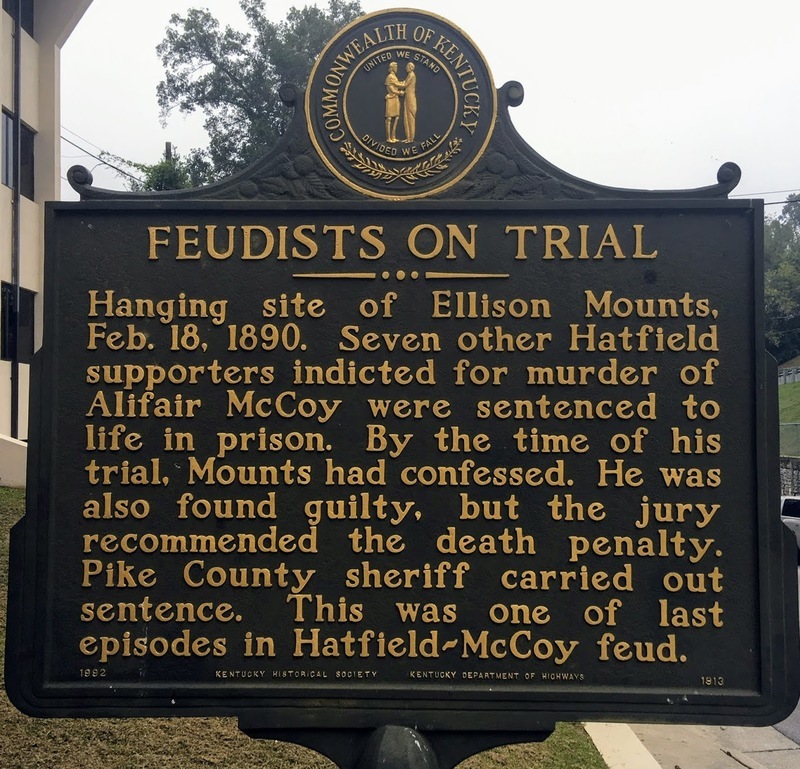 “Feudists on Trial,” ExploreKYHistory, accessed April 22, 2019, https://explorekyhistory.ky.gov/items/show/791.